The roar of gas rushing through a 60-inch diameter pipe can be deafening. Learn how TransCanada reduced noise with specialized insulation. Just when the outdoor concert started rocking, somebody called to complain about the noise. This hotel selected SilentCurtain to please both rooftop revelers and nearby neighbors. There are many types of industrial pipe insulations. Learn the cost advantages of fabricated V-Grooved Stone Wool over traditional fabricated pipe insulations. This analysis shows how the cost savings can be substantial. Saving energy through efficient insulation systems not only provides significant cost savings to commercial and industrial businesses but also has a positive impact on the environment. 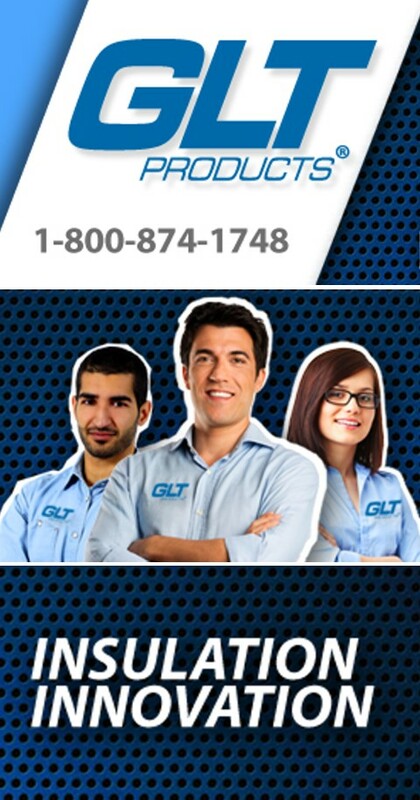 Since 1956 GLT Products has been providing our customers with an array of industrial insulation products and solutions. These products and solutions improve safety, increase sound and condensation control, and help meet USDA hygienic requirements, all while covering the most demanding insulation applications and improving the bottom line. 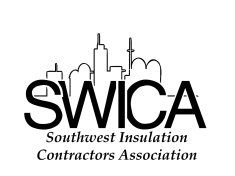 As a manufacturer, distributor, and fabricator, our products are used worldwide in mechanical, thermal and acoustical insulation projects. With over 60 years of experience and over 2,000+ products and accessories, think of us as your partner for all your industrial insulation needs. Contact us for more information on how our products save energy today for a greener tomorrow. Let our team be your team in guiding you to finding the solutions and products you need. Download a line card of our total product offering and learn how we can assist you in creating a customized insulation solution to help you save, while also going green. While we offer multiple industrial insulation solutions, there is one option that is ideal for use on large diameter pipes and vessels. 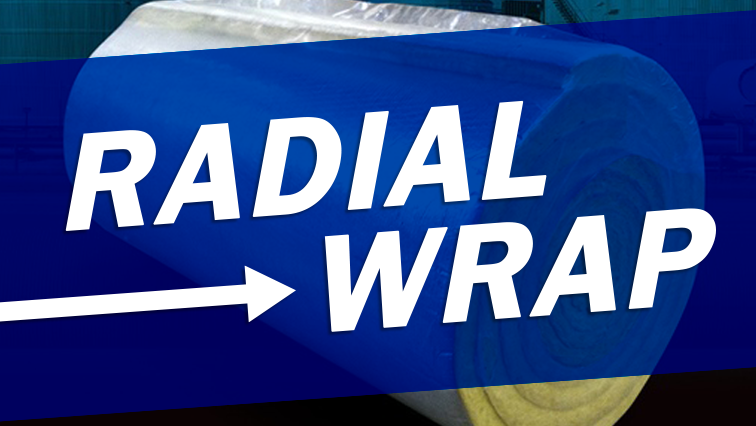 When compared to segmented products, Radial Wrap™ rolled fiberglass insulation offers many of the same insulating properties but is far more flexible, simpler to install, and offers our customers a great alternative solution. 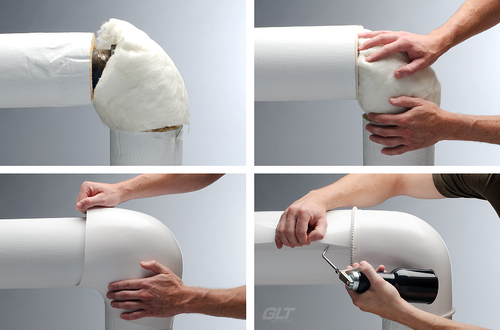 PVC fitting covers and jacketing are innovative materials that have found a home in piping applications for the industrial insulation industry. PVC stands for Polyvinyl Chloride and is a widely used plastic that is vital to our everyday lives.